Discover everything G-Anime has to offer on it's 10th edition. The key to creating memories at G-Anime is c-o-n-t-e-n-t! Not just one type of content, but many kinds of content! Below, you can get a preview of a few of the events & activities that we have to offer – follow the links to find out more! For a complete schedule, follow the link below to access our schedule. It will be updated regularly as we work our way to the convention! Straight out of your wildest dreams and exclusively found at G-Anime! At G-Anime, we know that guests are always a source of excitement and interest. This is why we’re always looking for guests who can create that unique experience sought by our attendees at our convention, in the fields of dubbing, fashion, film, and art! We have many special events planned over the course of the weekend! The masquerade, karaoke, contests, physical activities, and panels with our special guests. There is definitely something for everyone. The events & activities is what makes a good convention into an awesome one and G-plan deliver the goods on that part !! Come discover by yourself and be amazed !! Japanese animation is the basis of anime conventions. 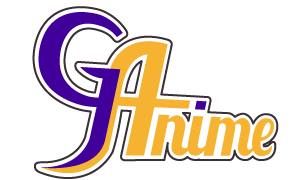 G-Anime is committed to presenting a selection of quality anime, with more than 100 dubbed and subtitled anime. With two screening rooms, you will definitely find something that will entertain (and maybe even surprise) you! *Please note that all screenings are in french. G-Anime is known for its gaming room! Video games, trading card games, and tabletop games, this convention has both quantity and quality in all three categories. G-Anime boasts one of the best gaming rooms of its kind in Quebec. We have many activities available, which you can see by following the link below. Have you heard of a festival without merchants? Neither did we! We have a great selection of merchants and dealers that will certainly please you and allow you to make interesting findings.